I didn't know that a -400 had been converted. I know it'll be higher, but how does that number compare to the evergreen 747 air tanker? 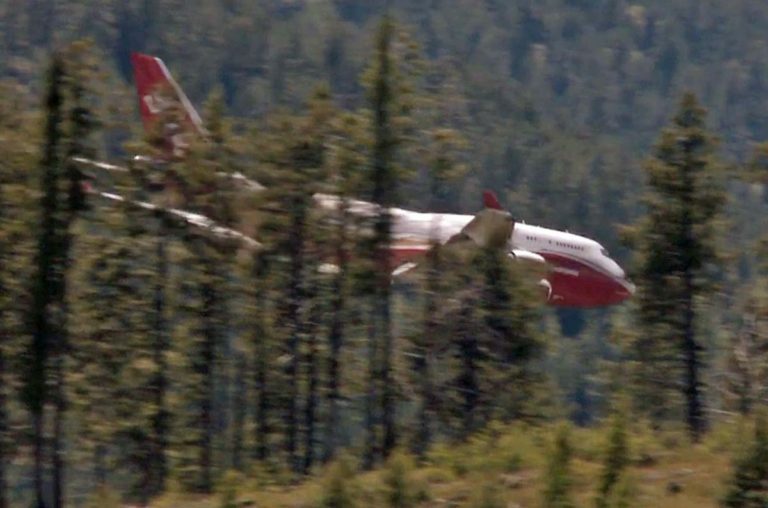 The 747 can hold 19,200 gallons, much more than any other air tanker. For comparison, the DC-10 very large air tanker carries 11,600 gallons, while the BAe-146, RJ85, and C-130 hold up to 3,000 to 3,500 gallons. The P2V Korean War vintage aircraft that has been the workhorse air tanker for decades usually carries less than 2,000 gallons. The S-2T used by CAL FIRE holds up to 1,200 gallons. I can tell you that cows are definitely smarter than they look and can turn on you at any moment when your back is turned so be careful. something I might be able to do seasonally? or is it year round, have to move there type of job? There are seasonal jobs, but the ones I was thinking about are year round but rotation type (1st-15th or 16th-30th each month and you can swap out with others). They like to hire people who live there but you are able to jumpseat and commuting is common, so you could live anywhere you wanted on your off days. Housing is provided in the bush when you are on shift for that type of work. I only just noticed this post. I know that the Strassers have come up with a powerpoint that had a great image for regulations. Some poking around should help find the rest. The entire archive is not kept on the website, presumably to encourage sales of their books. I digress. Let's take a look. If I have more time, I'll poke around later. I'm on break in class.